News 5 is learning more about the officer that was struck and killed on I-90 Tuesday morning. 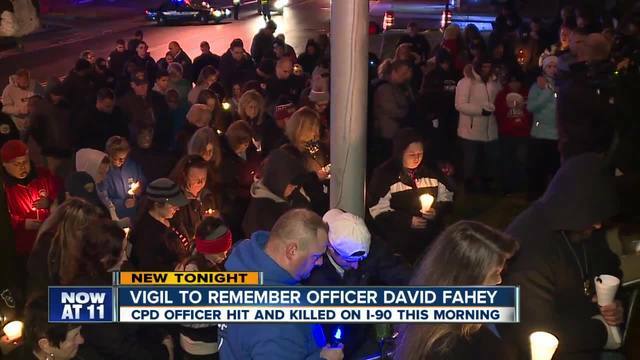 David Fahey was a two-year veteran of the Cleveland police department and a U.S. Navy veteran as well. Cleveland police officers wiped away tears leaving Metro Health, as they learned one of their own had fallen. 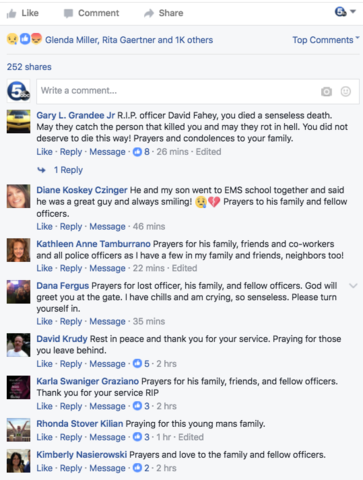 But the news of Officer David Fahey’s death not only shook his family and partners on the force but the entire community. “It’s hard. You know you meet somebody and you know who they are and then they go down” said Citizens police academy member Mitch Jo Addy. Mitch and Valerie Jo Addy often crossed paths with Officer Fahey in the community. They recall how approachable and friendly he was. ”Great humble gentleman who would be willing to do anything for the community,” said Jo Addy. The Navy veteran joined the Cleveland police department in July 2014, assigned to the first district. Friends close to Fahey tell News 5 he was an avid sports fan, who cheered on the Browns and Cavaliers. And they say his big moment this summer was when he was given a championship ring by the team for his service. “He was a fantastic gentleman who wanted to be a part of the community,” said Jo Addy. It’s why the Jo Addy’s say their first instinct was to organize a vigil in his honor. ”Their memory has to go on in our hearts, and we have to wear it like a badge of honor,” said Jo Addy. The Jo Addys say they hope it will bring his family some peace, during their time of mourning. People are also using social media as outlets for the community to express their thoughts and condolences to the family and the Cleveland Police Department. Politicians and police units across the city and state shared their solidarity and expressed their condolences on social media. We would like to extend our deepest condolences to the officers of @CLEpolice and the family of Officer Fahey on their tragic loss today. Cleveland City Council President, Kevin Kelley shared his condolences with the family and the Cleveland Police Department. He extended his deepest sympathies to the family of Officer David Fahey. 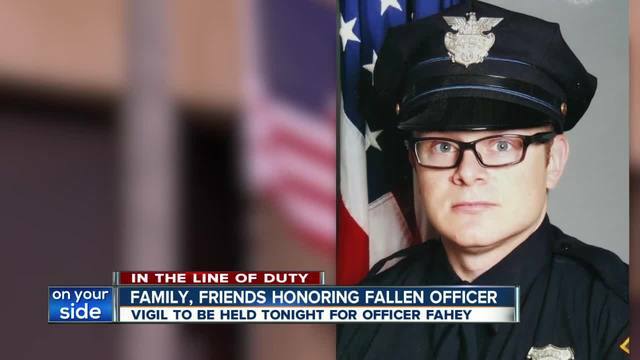 "Officer Fahey, only 39-years-old, was known for his commitment to his family, his job and to the citizens living in the West Side police district where he was assigned. He earned his badge as a Cleveland police officer in July of 2014. And he wore that badge proudly. Sadly, he now joins the ranks of the brave officers who have fallen. Our entire city mourns his family’s loss," said Kelley. Police districts from surrounding cities and counties didn't hesitate to show their support for a fellow officer in blue. As the investigation continued throughout the day, messages of solidarity, support, and condolences on social media and emails continue to stream in. A vigil was held for Officer Fahey in front of the first district police station Tuesday night.